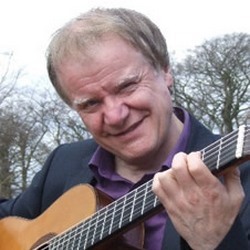 Neil is a world-travelled guitarist who, drawing on his unique experiences gives two talks in the North-West of England. He has been entertaining WI’s, Rotary, Probus and other similar organisations with his talks for several years. He is also available as an after dinner speaker. Neil brings his acoustic guitar, so no props are required. The talks can, in fact, be delivered without the guitar accompaniment if that is what’s required. £50 plus modest travelling expenses unless venue is within ten miles of my home address in Horwich, near Bolton.